The EPA recently released a figure of 40,000 uncertified, exempt stoves being sold each year. An estimate on the volume of sales of these stoves had long been sought by the EPA and others, but manufacturers would not supply them. Exempt wood stoves are not required by the EPA to meet any emissions standards and they are likely to emit five to ten times the smoke and particulates of an EPA certified stove. These exempt, uncertified stoves usually sell for $200 to $500 a piece. In contrast, EPA certified stoves typically start around $650. More and more used EPA stoves are coming onto the second hand market in the $300 - $800 price range. Since the year 2000, about 135,000 EPA certified wood stoves and inserts have been sold each year, making the 40,000 new, uncertified stove market a considerable part of overall stoves sales in the US. 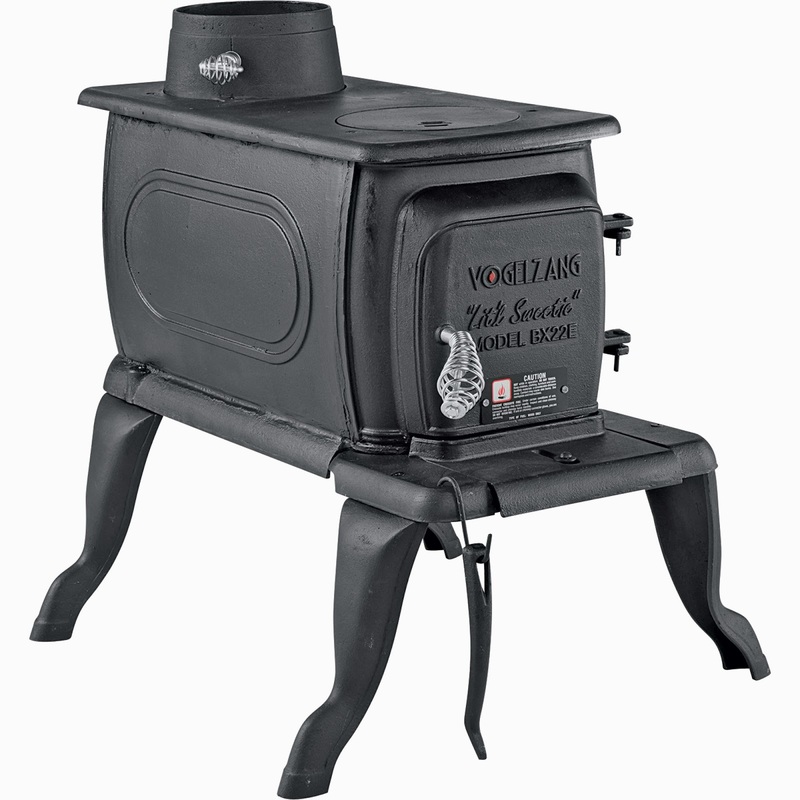 To get a sense of the robust exempt wood stove market, consumers can search for “wood stove” at Amazon.com. Usually the majority of stoves shown for sale on the site are exempt, including barrel stove kits. Next year the EPA is proposing to ban the production and sale of exempt wood stoves. There is little doubt that the final rule will put an end to the sale of stoves that do not need to meet emission standards. At the EPA’s pubic hearing in Boston on the proposed regulations, Steve Vogelzang, founder of the company that may have sold the most exempt wood stoves in the US, called on the EPA to reconsider their proposal, arguing that there is still a need for stoves like these to go into cabins and workshops. He added that, if the EPA moves forward on the ban, “we are going to remove the most affordable stoves from the market.” To read the full analysis of the impact of the EPA’s proposed regulations, see pp. 110 – 144 of the proposed rule. 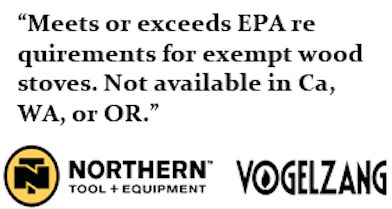 Northern Tool + Equipment, a major in-store and online retailer that sells exempt wood stoves, advertises that the Vogelzang Lit’l Sweetie “meets or exceeds EPA requirements for exempt wood stoves.” In reality, the Lit’l Sweetie does not meet or exceed any EPA emissions requirement, but is exempt from them. The Alliance for Green Heat spotlighted this misleading advertising in September 2012 but misleading language is still common in advertisements for exempt stoves. Northern Tool’s website is programmed to not take orders for exempt stoves from addresses in states where exempt stoves cannot be shipped. Amazon.com, a venue many consumers turn to for everyday needs, may be the best major retail outlet for informing consumers that exempt stoves can’t be shipped to WA, OR, CA, UT or CO. The site has a variety of sellers with product descriptions and also allows for consumers to directly ask and answer questions about the product. Similarly, Home-Depot is good on both providing customer information and regulating the purchasing of exempt stoves. They clearly label the stove as EPA exempt, say that they cannot ship to WA, OR, CA, UT or CO and the website will not let consumers purchase from those states. I would like to get more information on the estimated sales of wood and pellet stoves. In particular I want to know the volume of non-catalytic EPA stoves vs catalytic stove sales. And I want to compare this to pellet stove sales. Where would one find this information?